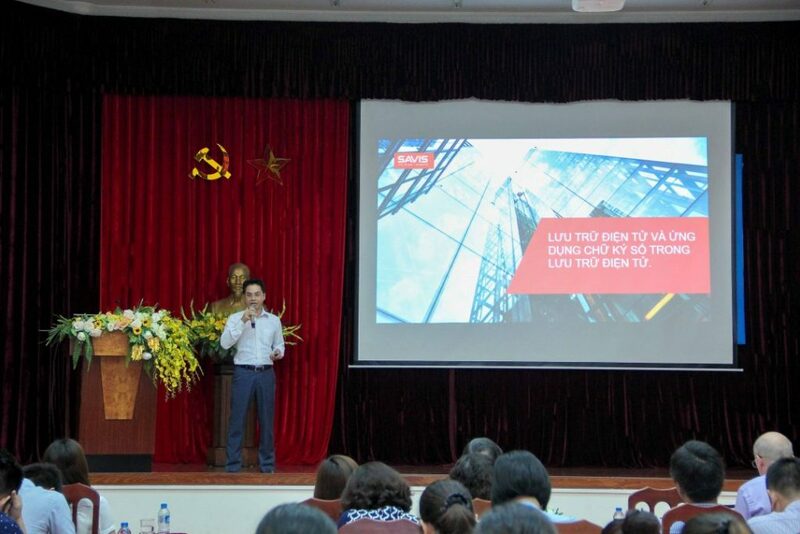 On September 6th 2017, at the State Records Management and Archives Department of Vietnam, SAVIS Vietnam Corporation co-hosted a conference named “Solution for Digital Signature and e-Archives”. The conference was attended by Mr. Hoang Truong – Deputy Director of State Records Management and Archives Department of Vietnam, Mr. Le Van Nang – Director of Informatics Center and other representatives. In his opening speech, Mr. Hoang Truong shared the current state of digital signatures in Vietnam and the prospect of digital signatures for the records management and archives. Mr. Rod Crook – Director from Ascertia gave a speech about implementing long-term digital archives, digital standards for materials and proposed solutions for archives in Vietnam. Ascertia is a leading UK technology company that develops electronic security solutions such as digital signatures for a variety of platforms. SAVIS will be the coordinating distributor of Ascertia products in Vietnam. Subsequent speeches brought to full the issues that interested delegates. Firstly, Mr. Hoang Nguyen Van – CEO of SAVIS Vietnam Corporation presented how digital signatures was applied in e-Archives in developed countries. The third presentation dealed with legal issues of using digital signatures. Mr. Pham Quoc Hoan, Deputy Director of the National Electronic Authentication Center, introduced the Circular regulating the use of digital signatures for e-Documents and e-Archives. Lastly, Mr. Bui Cong Cuong, Head of IT Division – Office of the Party Central Committee shared his experiences about implementing the digital signature in the Office of the Party Central Committee. The development of information technology, the Internet and especially the 4.0 technology revolution has changed many activities in social life, in which electronic transaction activities have taken place alongside traditional trading. This requires a more secure solution than conventional authentication solutions, to ensure the authenticity, security and integrity of data for electronic documents as well as electronic transactions on network environment. 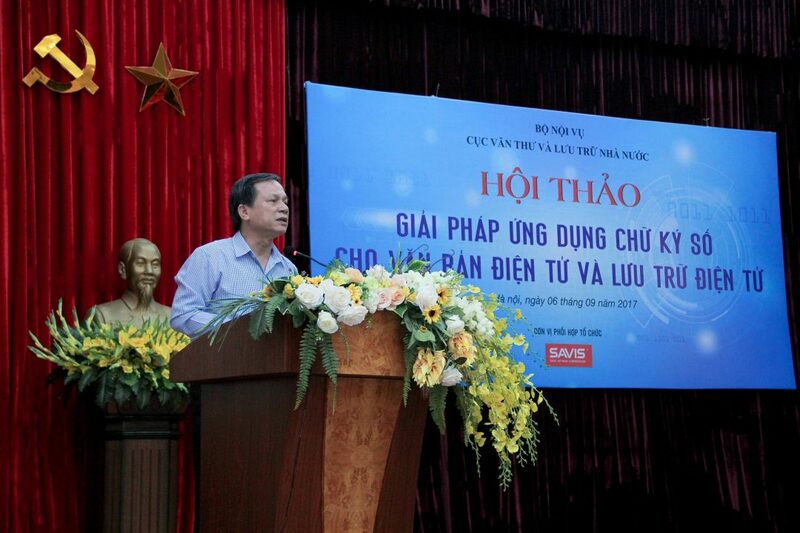 Therefore, the State Records Management and Archives Department of Vietnam and SAVIS Vietnam Corporation cooperated to organize this conference in order to provide the knowledges of digital signatures needed for the development of archival industry in Vietnam.